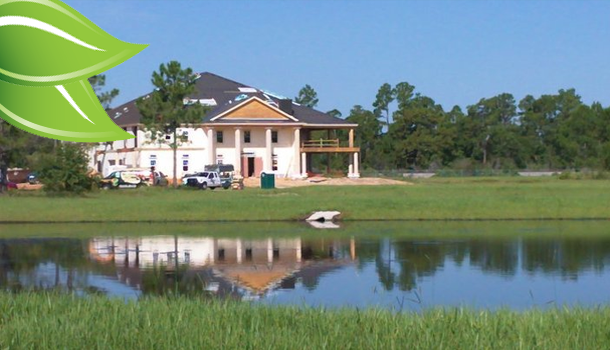 ICF Builders and Contractors | Insulated Concrete Form Installers of Central Florida. Green Building Practices are the wave of the future. Saving the planet's natural resources has been a hot topic for many years now. Energy efficient structures are a way to preserve our resources and save money for years to come. Insulated concrete forms are a great way to capitalize on energy efficiency. 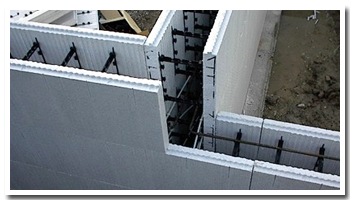 ICF ICF LLC builds exterior walls out of the product called Insulated Concrete Forms. The product consists of an inside and outside layer of styrofoam that is 2 1/2� thick. After stacking the product to wall height, we then fill the inside with concrete. Your home or building will then have a continuous solid poured concrete wall for the exterior. The concrete can be poured 4, 6, 8, and 12 inches thick. The solid poured walls will stop windborne debris in the event of a tornado or hurricane. Building with this product has tremendous benefits. Energy bills are drastically reduced. This is due to the insulation of the product. Hot and cold weather take a long time to penetrate the walls. Therefore, the size of the a/c unit can be smaller, saving upfront building costs and monthly running costs. The solid poured walls will stop windborne debris in the event of a tornado or hurricane. The exterior walls also have a much higher wind speed rating. The inside of the home is very comfortable and the outside noise level is significantly lower. With high quality windows and doors, outside noise is virtually zero. Drywall and tile backer board attach directly to the ICF. Also, any exterior product ( stucco, brick, siding) can be applied to the forms. Insurance rates are lower. To get the safest home or building, we can also pour second floors and roofs using a similar product. This adds to the security of the structure during bad weather. You can take advantage of using this type of product even if you have already started your project.